Does African black soap help treat acne? What is African black soap and how is it made? African black soap (also referred to as simply, "black soap") originates from—you guessed it, West Africa (typically Ghana)! The word, "black" however is a bit of a misnomer as traditional African black soaps are actually brown in color (Pro tip: African black soaps that are black will usually contain artificial additives!). 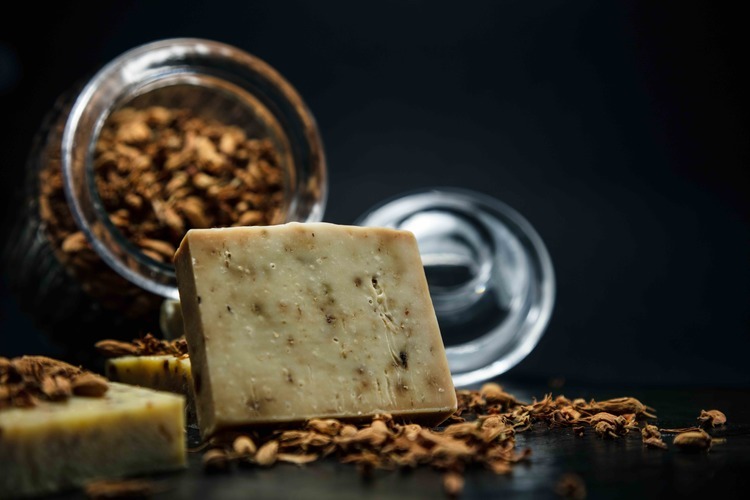 The darker color of the soap is a result of the locally harvested ingredients including ash from sun-dried and burned plants materials such as plantains, cocoa pods, palm tree leaves, and shea tree bark. This ash is then added to water and various oils and fats, such as coconut oil, palm oil, or shea butter. The mixture is then cooked until it solidifies, hand-stirred for at least 24 hours, then cured. The exact composition of black soap depends on its specific origin. Moroccan black soap known as Saboun Beldi is composed of olive oil and potassium hydroxide (potash), whereas in Nigeria, black soap is made primarily fro palm oil and cocoa pods. What is African black soap used for? Black soap is popular for its use as a gentle cleanser, which can be suitable for people with rosacea and other types of skin irritation. The plantain extract in some African black soaps also has antibacterial properties that can help treat and prevent acne breakouts. What are the risks of using black African black soap? African black soaps tend to have high glycerin and latext content. Therefore, they not suitable for people with allergies to these compounds. If you have a chocolate allergy or are sensitive to caffeine, you may also want to stay clear of black soaps due to the high concentration of cocoa often used. An additional risk of using certain black soaps is an over-drying effect. If you have dry or sensitive skin, look for a black soap that includes shea butter or another moisturizing ingredient in the formula and be sure to use a hydrating moisturizer after cleansing. Does African black soap help with acne? For some people with mild to moderate acne, adding African Black Soap to your skincare routine can certainly help treat and prevent breakouts. However, it is important to pair this with other measures such as a good, skin-friendly diet and other topical anti-acne treatments. To learn what topical acne treatments you need for your unique skin, click here to take the free, 5-minute MDacne skin analysis. Lather: Lather up soap in clean hands first before applying to damp skin. Do not apply the bar of soap directly to your face is this can cause severe skin irritation. 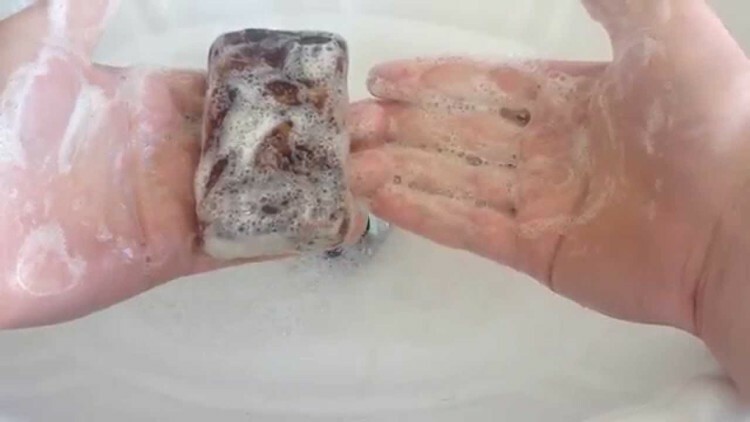 Gently Cleanse: African soaps contain ash granules and other debris that might not dissolve completely in water and can scratch and damage your skin. To prevent damage and irritation, be very gentle while cleansing and avoid excessive scrubbing or rubbing. Safety Tip: As with any soap, avoid getting it in your eyes! 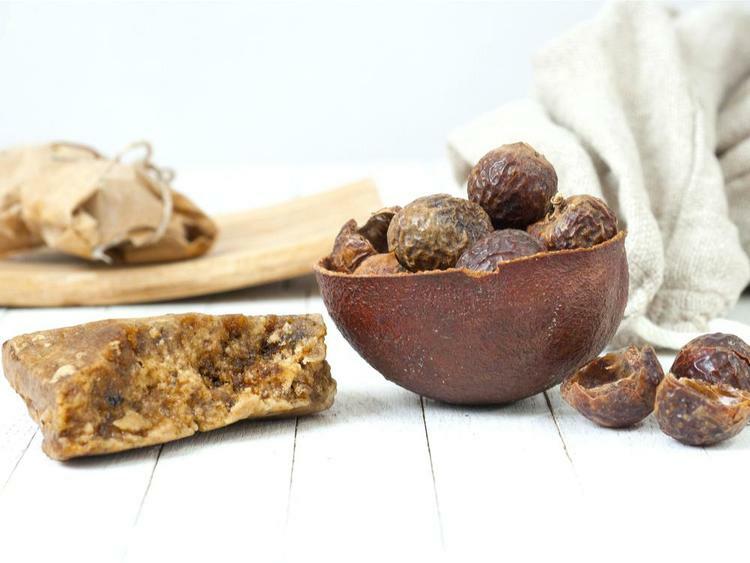 Learn more about other African black soap benefits here (spoiler alert: it can also help with fine lines and can minimize the appearance of stretch marks! ).